If you are looking for a last minute deal on a TV Free Shipping Friday is a great day to do it. If you order this today throughout Walmart.com you will still get it in time for Christmas! $329.98 for a 37″ RCA LCD Television. Don’t for get today that you can get 5% back today from Ebates! Go HERE if you are new and sign up ( you get a free $10 gift card) or go HERE if you have an account to sign in! There is a Hot New Coupon for Buy 2 Get 1 Free Nabisco Crackers. Kroger and Randall’s have Nabisco for either $1.99 or 2/$4. These should be good on Ritz, Wheat Thins, Sociables, Triscuit etc. etc. 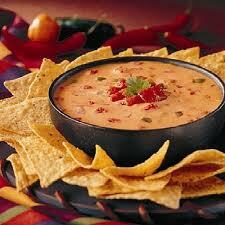 There is a HOT Pace salsa coupon you can print HERE. 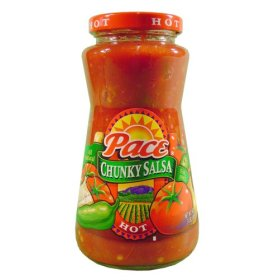 It is for $.50/2 Pace Products. This is a coupon that is best saved and used where you can double it, but either way we go through a lot of salsa and will buying it no matter what! This is the dip we make ALL THE TIME! Just toss everything into a crock pot, turn it on low, stir when melted and you are good to go! I just wanted to give a reminder that today is the last day to pick up layaway items from Walmart. I would hate to see anyone lose any money or not get their gifts! If you head over the the Dulcolax website you can print off two really HOT Coupons that will give Overage at Walmart. The first is a $5.00 off any 2 Dulcolax Products and the Second is a $3 off any Dulcolax Laxative Tablets, Suppositories or Stool Softener. This makes the 8-10 count FREE at Walmart. Here are some new Holiday Candy Coupons available right now. They are available in every zip but just in case I used 12345.